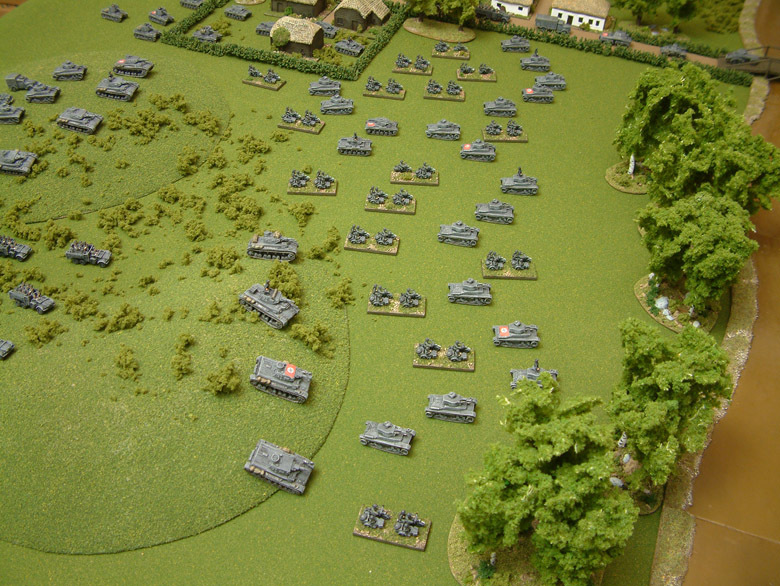 Blitzkrieg Commander II is an exciting wargame that allows you to re-create battles of the Second World War and Spanish Civil War using miniatures on a tabletop. Command anything from a company right up to a division and get a result in 2-3 hours without becoming bogged-down in detail. Suitable for any scale miniatures from 2mm right up to 28mm (including 6mm, 1/285, 10mm, 12mm, N Scale, 15mm and 20mm) and no re-basing required. The rules are available as a 140-page A4-sized book (either a perfect bound hard-copy full-colour book, a print-on-demand monochrome book or a full-colour electronic PDF document) with over 45 pictures that illustrate how to play the game. These feature real miniatures as you see them on the gaming table not diagrams that belong in a physics textbook! You also get a double-sided A4-sized quick reference sheet. 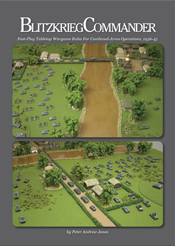 This is the 2nd Edition of the game (dated 2009), released on 21st December 2009 and brings the game into line with Cold War Commander. The first edition of BlitzkriegCommander is still available.